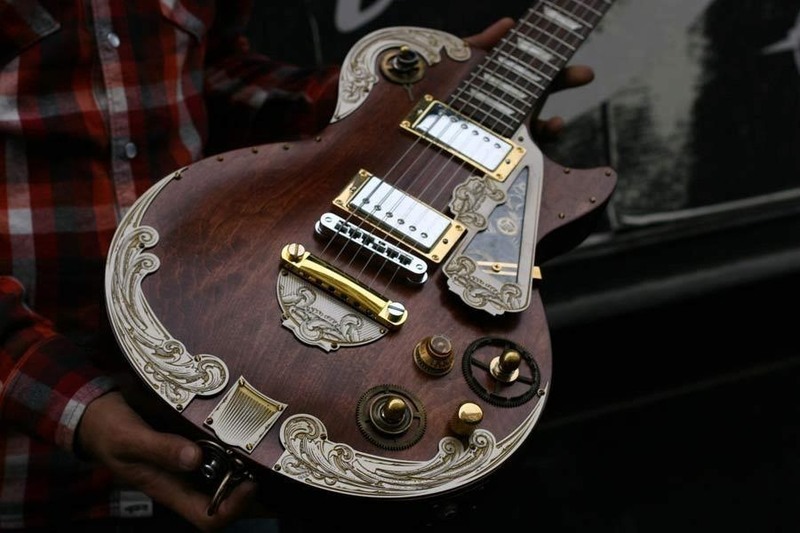 I've seen some pretty ugly steampunked guitars in my day, but this isn't one of them. 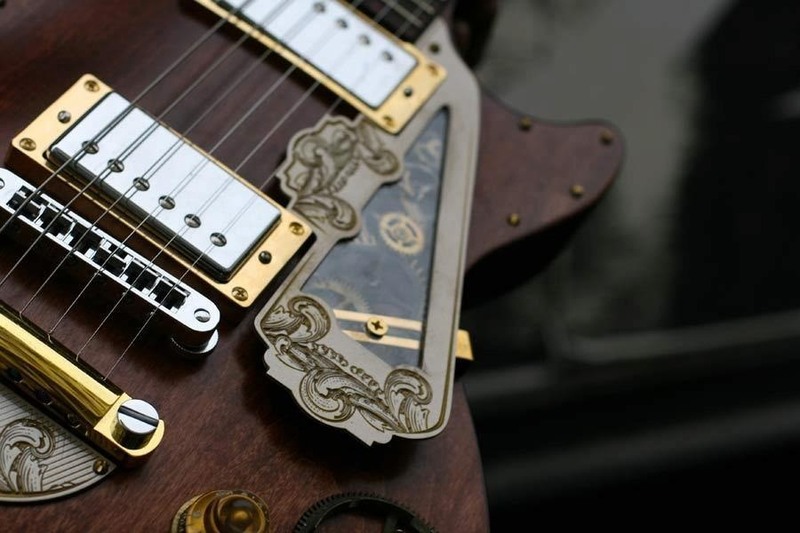 This one's about as beautiful as they get. 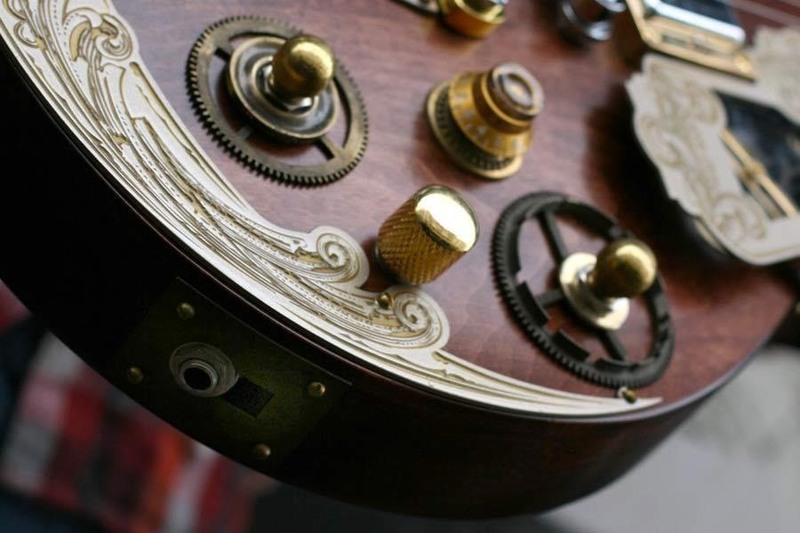 French company Wild Customs made this Gibson LesPaul into a steampunk masterpiece.